Village Inn is a chain of family style restaurants in the United States. The restaurants serve breakfast all day, as well as burgers and salads, and they are famous for their award winning pies. You can find a link for a Village Inn application by going through the application links at the bottom. The chain was founded in Denver, Colorado in 1959 by James Mola and Merton Anderson. They called their first restaurant Village Inn Pancake House. The pair sold the first franchise in 1961. The business changed its name in the 1980s when it started serving lunch and dinner items as well as breakfast fare. The chain, which has changed hands over the years, is currently a subsidiary of American Blue Ribbon Holdings. The company is headquartered in Nashville, Tennessee, and has 206 locations. The restaurants can be found in Arizona, Florida, the Rocky Mountains region, and the Midwestern states. Many of them are decades old and have a loyal customer base. The company’s core values include embracing change, innovation, and improvement. Its credo of respect for individuals extends across customers, vendors, and all employees, fostering an environment of trust. If you are interested in job opportunities with this chain, use the site map at their website to find your local restaurant and see job postings. The eatery posts corporate careers on its website as they become available. It also offers franchise opportunities, and you can request information or download application form packet for a franchise at the site. The site makes it easy to apply online for a career in the restaurant industry working as a franchise owner. Village Inn jobs available in the restaurants are General Manager, Assistant Manager, Server, Line Cook, Host/Hostess, Busser, Expo, and Dishwasher. These jobs are listed by title. If you are interested in a title, click to apply and you will be asked to enter a zip code to your local business before continuing. How old do you have to be to work at Village Inn? You must be 16 to work at Village Inn. Most positions in the business do not require much prior experience, making the restaurants a great place for young people to get their start in the world of work. Managers at the eateries receive a comprehensive benefits package, including medical, dental, vision, life insurance, disability, paid time off, and more. Team members get paid time off and flexible schedules. Hourly employees become eligible for a benefits package when they average 30 hours per week. Hours of operation vary by location. Monday through Sunday 6:00 AM to 11:00 PM are typical business hours. Assistant Manager – As an Assistant Manager, you would assist the General Manager with hiring and training staff, scheduling and delegating tasks, and monitoring the daily cash flow in the establishment. You would be a role model to team members, and must conduct yourself accordingly. Salary starts around $24,000 per year for this position. Server – As a Server, you would greet each guest and take their food orders. You would need to know the menu very well. You should be able to perform your tasks accurately and efficiently. Some cleaning duties would be required of you. Pay for this position starts at about 2.65 per hour, but pay is supplemented with tips. Line Cook – As a Line Cook, your responsibilities would be to cook the food properly and present it nicely on the plate within ten minutes of receiving each order. You would keep your work area clean and stocked, and in compliance with safety codes. Pay starts around $7.00 per hour, but can be a few dollars more. Dishwasher – As a Dishwasher, you would keep all of the dishes clean and safe for customers. You would keep your work area clean as well. No prior experience is necessary for this job. Starting pay is minimum wage, which is at least $7.25 per hour. You can see if your local restaurant is hiring by visiting the website. Do you have any memories that involve our restaurant? The chain has been in business for generations. If you have fond memories of what it was like to eat there, you will know what kind of experience current guests should have. Let your interviewer know how much you like the place. What kinds of things do you see employees do in restaurants that bother you when you are a guest? Your interviewer wants to know that you have an idea of what good customer service is. Give examples of poor service, and ways you would do things that would be better. How did you find out about this job opening? If someone referred you, be sure and mention the person. Your friend may get credit for finding you, and it’s a good word for you. Let your interviewer know that you applied for Village Inn careers by using the free application process they offer at the website. What do you think the job description of the position you requested is? Your answer to this question will help your interviewer determine how much training you would need to be able to successfully perform your job. If you need to do a little research ahead of time, it could help you get hired. How would you handle a customer who had a complaint about the food? Your answer to this question will help your interviewer see how you handle stress, and if you can maintain good customer service throughout. The restaurants get very busy, and stressful situations happen regularly. Think of ways you might satisfy the customer when you answer. Be sure to smile and shake your interviewer’s hand. Good manners are an important quality in employees of the business. You can apply for jobs at Village Inn at the website below. There is no printable application for Village Inn, but you won’t need one to apply for employment. You won’t need your resume, either. You should dress nicely for your interview, but you won’t need a business suit unless you are applying for a management position. 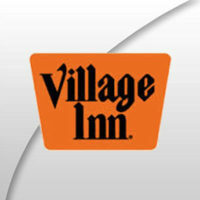 You can browse Village Inn jobs online, select your favorite, and fill out an online application. You can fill out applications for more than one position, too. You will have to register to apply, and the site will save your information. You can get a Village Inn application at the website. There is no printable application form, but you won’t need one. You can fill out a direct application at the site. If you would like to know how to apply for Village Inn online, go to the jobs link at their site. You can select a job and fill out an application form right there.